Radhe Shyam Garg has been appointed new chairman of Rajasthan Public Service Commission (RPSC). 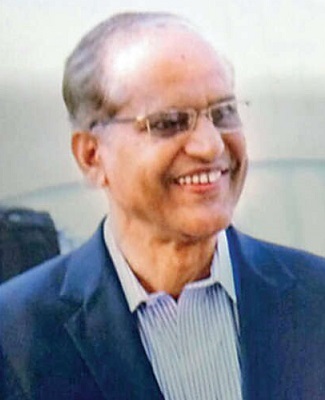 The Rajasthan governor office announced Dr Garg’s appointment late on Friday. The post had been lying vacant for the past more two months after the former chairman Shyam Sundar Sharma retired in September. Chairman’s post is a constitutional one with the governor appointing the head. The term of the chairman and members is that of six years or 62 years of age, whichever is earlier. Garg will complete 62 in May, 2018. This means, he will serve the post for only six months. Former chairman, Shyam Sundar Sharma held the post for less than three months before retiring on September 28. He had replaced IAS officer Lalit K Panwar who held the post for nearly two years. Garg, a native of Dholpur, has been associated with Rashtriya Swayamsevak Sangh (RSS) and had been an office bearer for RSS’s Dholpur branch. RPSC, the body entrusted with the task of recruiting government employees was without a head after its chairman Shyam Sunder Sharma retired on September 28. The commission is an eight-member body, including the chairman. The chief minister Vasundhara Raje on December 13 had made announcement of 1.4 lakh government jobs under direct recruitment. A lion share of the recruitment will be done by the RPSC. Also, it now has to manage exams of more youth in coming days as applicants number is likely to grow in the wake of the government’s decision to increase age cap to 40 from 35 for youth taking competitive exams.